HealthKit is Apple’s new health and fitness app that bundled with iOS 8 designed to help users keep better track of their personal health and fitness data. HealthKit is expected to become widely available to consumers beginning in October, and ahead of its official release. Apple’s update firmware iOS 8.0.2 not just fixes bugs issue, rather it also brought the world of third-party apps in iOS. To centralize all the incredible health and ﬁtness apps, HealthKit appears as “Health” on the iOS 8 users Home screens, and provides an easy-to-access dashboard where iOS users can monitor all health and ﬁtness data. 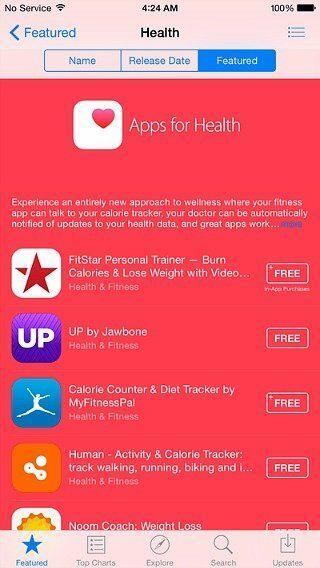 Now, users will be able to bring the platform to life by downloading apps that work alongside with HealthKit. One of the first apps to debut with HealthKit – FitPort is a fitness dashboard app from Tokyo-based Flask LLP which monitors health information such as activity, calories burned, body fat percentage, and tracks steps taken. In addition to relying on developers to build apps for HealthKit, Apple also work with healthcare providers at Mount Sinai Hospital, the Cleveland Clinic, Johns Hopkins University and electronics health records provider AllScripts.